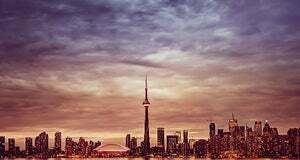 Planst du einen Trip nach Toronto? The brewery tour is a surprisingly good time and you get a healthy amount of beer to drink during the tour as well. 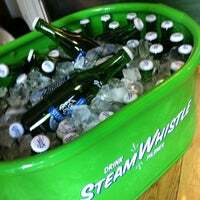 Steam Whistle is a real fine brewery to support - make sure you leave with a case! Great tour, knowledgeable guides, good beer. While typically not a Pilsner fan, I found this beer very drinkable. So much so I ended up buying one at a blue Jays game the next day. Vale muito a pena!!! Entrada de 10 dólares para um pequeno tour pela fábrica mas com muita cerveja servida. Ainda ganha um souvenir que pode ser um copo ou um abridor de garrafas. Great place, free samples and you can go on a tour to learn about its history and production process with more free samples! The beer is great, and the tour is extremely entertaining and interesting. 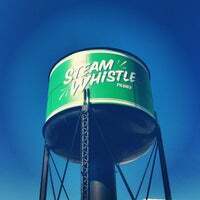 It's one of the best activities to do downtown, whether you're a tourist of not! The tour was great! But they're so popular so go ahead of time to book a spot and then hangout around the city. Super knowledgeable staff. Excelente lugar para echar una chela y una charla con los cuates. Está en un antiguo patio de maniobras de trenes. Afuera se exhiben locomotoras y carros de trenes antiguos. Impressive tour. It's affordable and highly recommended. The folks who work there are personable and make it a fantastic experience. David gave us the tour just an hour ago and it was great! Walking through the brewery with a good beer in your hand and a very funny guide was well worth the $10! Had a good time! Definitely do the brewery tour. Really interesting and you get free beer. We had a lovely tour of the brewery. Our tour guide was very good. Great beer too. Good beer, the tour's superb and the staff are brilliant. What more do you want? 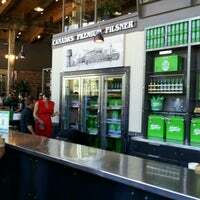 Use your first foursquare check-in for a free tour, beer and pint glass (show the cashier your check-in)! You can also get complementary samples while you wait! Free beer! Tours sell out fast. Friendly staff. Indoor beer hall and outside patio. Take the tour. Its well priced and pretty interesting. 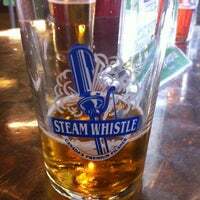 Also a great place to go before a Jays game. 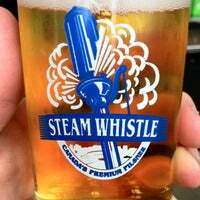 Going to a Jays game and looking to get drinks at a reasonable price? 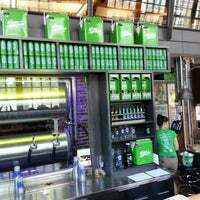 Check out the tour of the brewery tour before the game, it's interesting and drinks are cheaper than in the stadium! Amazing tour, gift shop and the beer! One of the best brewery tours i've experienced! Great beer too! Good beer. Nice location. Nice place. They have only one kind of beer, but it's good. Amazing tour even if you have a disability ! May not get to see the upstairs but they sure as hell take good care of you ! 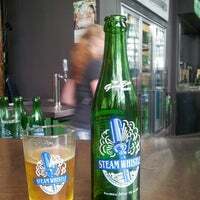 Did you know that the Steam Whistle Brewery used to be the home of The CPR Roundhouse, which serviced 50 trains a day? Come visit us during Doors Open on May 25-26, 2013! Super friendly staff! Great beer! Wish they sold it in the States! Fun tour, and a tasty pilsner on tap. Try it filtered and unfiltered! 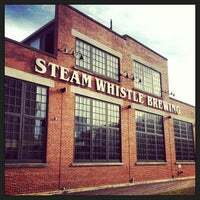 The tour is one of the best things to do in Toronto. Lots of free samples! Grab a pretzel too. 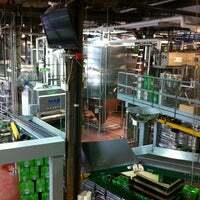 Make sure to do the tour of the brewery, you learn so much and free bottle of beer! 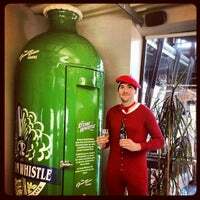 Come in, get a sample of their finest brew and take a tour! Also, it's best to go there before a ball game at the Skydome! If you come to Toronto this is a must. $10 for a tour, loads of beer and a free glass. They just make one pilsner and it's awesome. I could stay all day. Great tour, good beer. They're generous with the samples on the tour and they're building is pretty cool too. Really fun place staffed by people who really like their jobs. This is a great beer and a fun brewery to tour. What I miss the most about Toronto? 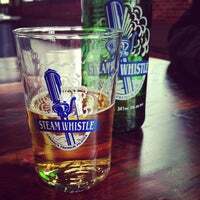 A fresh and crisp pint of Steamwhistle. The beer (pilsner) is really good and touring the brewery is very interesting. Cool factory-like place for partying. My first U of T nonalcoholic frosh party was held here. I remember they played Avril Lavigne's Girlfriend. 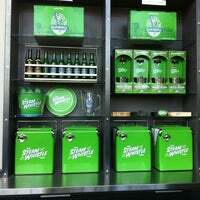 The best place for a brewery tour, check it out and you get a free souvenir. Cheapest place to drink. Offers some rotating tap options that they don't bottle. Basic food options but exactly what you need with a pint. Super bacana. Vale a pena o mini tour e a degustação. Do the brewery tour. Do a brewery tour crawl if you have some free time on a saturday and like beer. Lovely tour of the brewery! 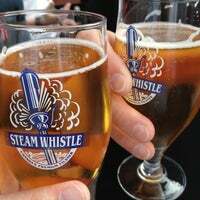 Just wished I enjoyed the taste of steam whistle more. 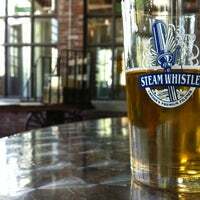 Craft brewed Canada's Premium Pilsner. "The buffalo cauliflower (appetizer) is amazing and the flights are extremely good. Try the Boneshaker IPA!" "The Cajun salmon salad is one of the best value dishes in this city - delicious and hearty!" "Wizard Wolf Pale Ale is an amazing beer! Light, crisp, and extraordinarily well balanced. Try with fries. 😎"
"Have the brisket sandwich or brisket nachos at the Carvery. It's right behind home plate on the 100 level. By far the best food ever served in my 20 years coming to the Skydome." "Am Besten Mittagessen dort reservieren, dann spart ihr euch den Eintritt!" 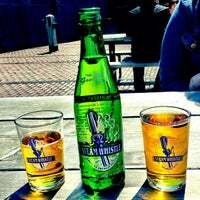 "Steam whistle gives Everyone 19+ a complimentary sample of their pilsner for walking in. Also find water, bathrooms and an awesome tour!"